Washington, DC – On Wednesday, Senator John Barrasso (R-WY) kicked off the latest Republican-led attack on one of our nation’s most important laws for protecting wildlife and habitat. The Endangered Species Act was the target of a Senate Environment and Public Works (EPW) Committee hearing this morning, led by Sen. Barrasso, and included a former Governor and the president of the Wisconsin Farm Bureau as witnesses. Former Director of the U.S. Fish and Wildlife Service, Dan Ashe spoke in favor of the Endangered Species Act, and highlighted the need for more funding and resources. The hearing comes after Rep. Rob Bishop (R-UT) recently announced he would like to “repeal” the Endangered Species Act. An advisor to President Trump has also expressed a desire to overhaul the Act. During the last Congress, there were more than 100 bills or riders introduced aimed at weakening the Endangered Species Act or the species it protects. Protect our endangered animals. All over this country there are people who happily volunteer their time to protect endangered animals. It’s our responsibility. It’s even in Genesis. I absolutely support the Endangered Species Act This should go without question for this country’s symbol of freedom and strength! 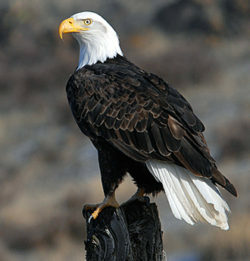 Support the Endangered Species Act to the fullest!!! The ESA is under the greatest threat to its existence under the current Republican led congress. I see over and over the stat that the majority of Americans support the ESA. What I do not see is organized effort by all the interested parties – fishermen, birders, general outdoors people and lovers of wild places, etc – to reach this vast number of people. If we don’t do that, there seems little doubt that the ESA will be gutted. I have called numerous organizations such as Earth Justice, American Bird Conservancy, American Birding Association and there is not a response that says this is URGENT! How can we all make this happen? We need to start by preventing the War on Wolves legislation from passing…what do we do? Protect all Endangered Species to the Fullest!!! !